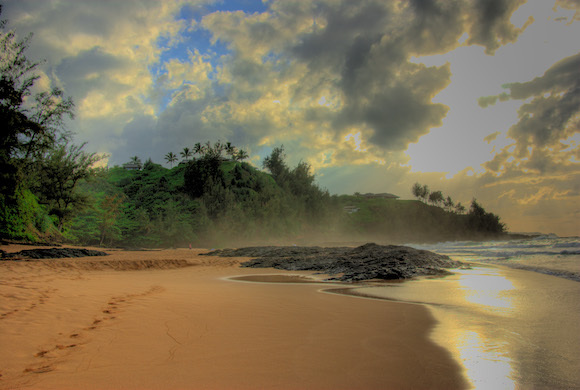 This is one of the better beach runs on Kauai. It is 2.2 miles from one end to the other. The sand is generally firm during the right season and tides. Best done during summer, as during winter the surf can wash out the beach. The beach is in Kilauea, not far from the Kilauea Lighthouse. Can do in combination with Kilauea Rd. from the lighthouse, which is a nice run up toward central Kilauea and the Wai Koa Loop Trailhead.